Chia is a small seed with big benefits. Chia seeds are high in fibre, protein, antioxidants and are also a source of omega 3 fats. 1 tablespoon of seeds provides 5g of fibre, and considering many of us don’t get the 30g of fibre recommended daily, this is an easy way to boost your fibre intake. Chia seeds are also gluten free and provide a source calcium, magnesium and phosphorus. Chia seeds are from the plant Salvia hispsnica, a plant native to Mexico. There are two varieties – black and white. The black actually contains a mixture of black, white and grey seeds while the white seeds are selected out for the white variety. They are very similar in nutrition composition. 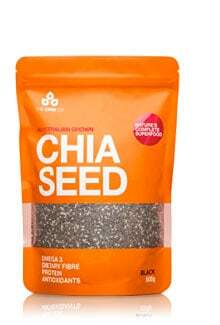 You can find Chia seeds at most supermarkets or health food stores. Image via The Chia Co. Check out their website for more information on Chia including a page of recipes using Chia. We’re on Facebook. Like us here! Thanks for the stats. I have always known Chia’s were good but I didn’t realise how much fibre was in ’em! I am now going on a mission to find some Chia seeds this weekend. 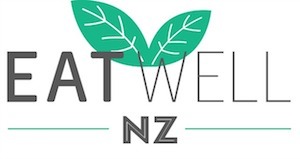 Any ideas where in Wellington would stock them? Yip for wee seeds it’s quite a lot aye! You could try Moore Wilsons, perhaps or health shops?